Psychologists from City University London discussed their work into mindfulness treatments and behavioural therapies at the launch of a new research centre. Academics, health practitioners and teachers came together for a day of talks, organised by City’s Department of Psychology to introduce the Centre for Psychological Wellbeing and Neuroscience. City researchers were joined by guest speakers from local and national organisations that are working to promote treatments for people suffering with mental health or neurological conditions. It comes ahead of the start a new Masters programme – Clinical, Social and Cognitive Neuroscience MSc – which will welcome its first cohort of students in September 2015. 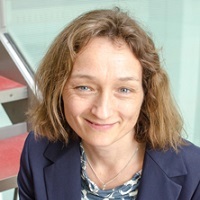 Professor Tina Forster, who has embarked on cutting-edge research in the emerging field of clinical neuroscience, explained the results of a study into how mindfulness practices affect the brain. 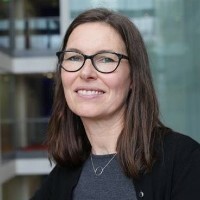 In her research, with Hana Villar of City and Hackney Mind, Professor Forster found that during an eight-week programme individuals saw their body awareness increase as the study progressed. The changes were observed through increases in brain activity, which was recorded by electroencephalograms (EEGs) during tasks that required participants to count touches they felt on their hands. Dr Katy Tapper discussed her research into the ways mindfulness can be used to improve healthy eating and help with weight loss. According to the psychologist, the results of her work were “promising” but she stressed more research needed to be carried out into the concept, as the field is still in its infancy. She explained that small calorie reductions were seen in tests involving two different approaches to mindfulness – focusing on the sensory properties of food while eating, and “dencentering”, or seeing oneself as separate from one’s thoughts. 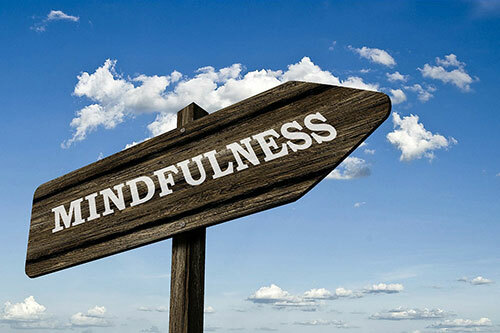 The event also saw Dr Angeliki Bogosian discuss the outcomes of her researc h into how mindfulness can improve the mental health symptoms of multiple sclerosis (MS), such as anxiety and depression. She explained that participants in her study, who took part in weekly mindfulness sessions using Skype as well as daily private practice, reported reductions in their symptoms. 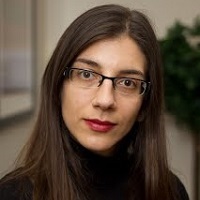 Dr Bogosian added she hoped to carry out similar research into whether the techniques can help people with Parkinson’s disease. 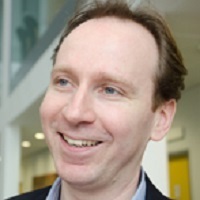 Also speaking at the conference was Dr David Cox, Chief Medical Officer at meditation software business Headspace, which is one of the partners of the Centre for Psychological Wellbeing and Neuroscience, alongside City and Hackney Mind. He explained his company, which creates apps for mobile phones, was working with researchers and universities to provide tools and data on the effects of meditation to help devel op research into the field. 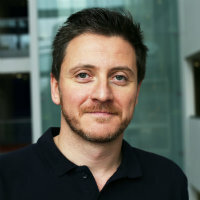 Speaker later in the afternoon, Dr Paul Flaxman, Senior Lecturer in Organisational Psychology at City, spoke about Acceptance and Commitment Therapy (ACT) – a form of behaviour therapy – for resilience in the workplace. In particular, when talking about defusion strategies he noted how experiencing thoughts in a voice of a cartoon or film character – or even assigning it to a familiar tune – could be beneficial. Following on from this, Dr Corinna Haenschel, Senior Lecturer in Psychology, talked about working memory in people with psychosis, touching on how impaired visual working memory (WM) is present in people with schizophrenia, and also how this can be a predictor of a poor quality of life. Using electroencephalograms (EEGs) to identify the precise timing and coordination of activity relating to working memory across different areas of the brain, Dr Haenschel used the analogy of an out of time orchestra with no conductor when describing the issues that poor WM can cause. As a result, her work suggests that improving WM will not only benefit many aspects of everyday life for people with psychosis but also potentially reduce medication and the likelihood of relapse. Concluding the last tranche of talks, following a keynote address from Claire Kelly, Director of the Mindfulness in Schools Project, Dr Sebastian Gaigg, Senior Lecturer in Psychology, spoke about whether mindfulness reduce can anxiety in individuals with autism. Other afternoon speakers spoke about their own experiences of mindfulness, with Andy Phee, a former mental health nurse and mindfulness teacher working in North London, talking about mindfulness for psychosis, paranoia and voice hearers. The event took place on Friday 12th June.